(Bloomberg) -- Commerzbank AG extended gains after a report that ING Groep NV signaled interest in the German lender, adding to the list of potential acquirers if talks with Deutsche Bank AG fail. 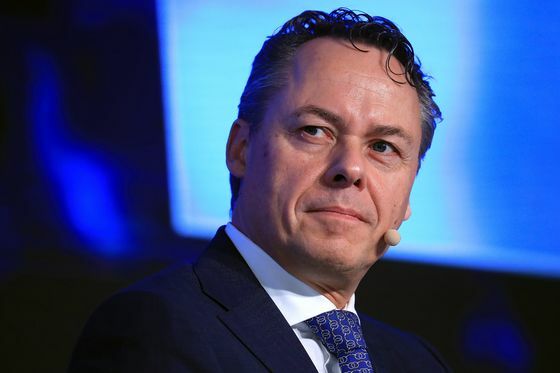 ING Chief Executive Officer Ralph Hamers has reached out to both the German government and Commerzbank counterpart Martin Zielke in an effort to start discussions, Manager Magazin reported, citing people familiar with the matter. While Zielke refused to start formal talks, he hasn’t broken off contact entirely with the Dutch bank, the publication said. Commerzbank rose 3.1 percent in Frankfurt trading, while ING pared Tuesday’s advance. Officials for ING, Commerzbank and the German Finance Ministry declined to comment. Hamers pledged to cut fewer jobs than would be needed in a tie-up of Commerzbank and Deutsche Bank, Manager Magazin said. He also offered to move ING’s headquarters to Frankfurt from Amsterdam after a deal, the publication said. A combination of the two German lenders could lead to the elimination of as many as 30,000 jobs. Commerzbank, still partly owned by the government after a bailout, is attracting renewed interest from potential acquirers as talks with Deutsche Bank run into mounting obstacles. Banks including BNP Paribas SA and UniCredit SpA have expressed their interest to the government in the past, people familiar with the matter have said. UniCredit is preparing a takeover bid should the Deutsche Bank fall through, the Financial Times has reported.